Nollywood actor, Samuel Ajibola, has released another episode of his comedy series Dele Issues (Daily Issues) titled “Street Historian”. 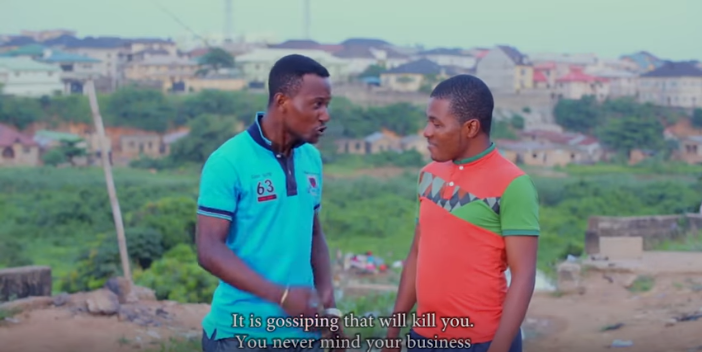 In this episode, Dele is seen extorting meagre sum of money from unsuspecting neighbours he has been stalking. He blackmails them into giving him money in exchange for keeping their dirty secrets. The plot twist comes when Dele learned the hard way, the importance of minding his business after a mad man dealt with him. The web series, Dele Issues (Daily Issues), revolves around the main character; Dele, who always takes on different roles. The series is laced with funny expressions which will throw the audience into a fit of laughter.